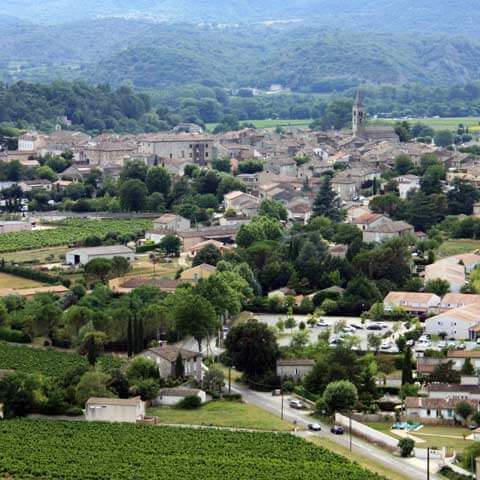 The village of Vallon Pont d’Arc is a key tourist destination in the Ardèche. Its Thursday morning market is impressive due to the number and variety of the stalls. The night market on Tuesday evenings in July and August is also very successful. 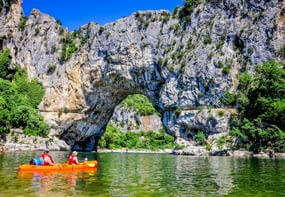 Vallon has the name of the famous arch that spans the river Ardèche at the entrance to the gorges. Known as the main departure point for descending into the Ardèche in canoes and kayaks, Vallon Pont d’Arc is today famous for the “Chauvet” cave in its cliff walls, the oldest decorated cave discovered to date. 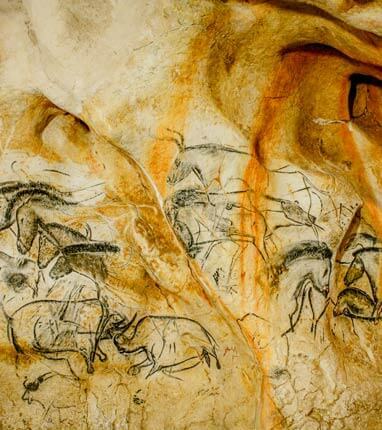 It is also in the commune of Vallon Pont d’Arc that can Pont d’Arc cave can be visited, a wonderful replica of the Chauvet Cave. During the tourist season Vallon Pont d’Arc has many little stalls, shops and restaurants in the streets around the castle.